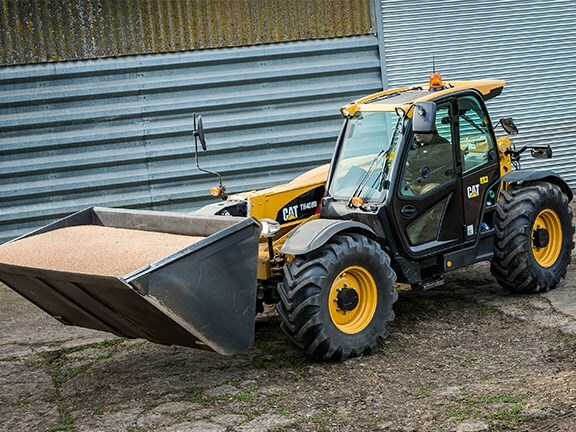 Caterpillar has announced three new Ag Handlers for Cat’s D Series – the TH357D, TH408D and TH3510D. Described as heavy-duty handlers, the new D Series models will be able to handle loads from 3500kg and 4000kg, with maximum lift heights ranging between 7m and 9.8m. With the 111hp Cat C3.4B engine as standard, even the lower-spec end of the range will have plenty of power. However, the 124hp Cat C4.4 ACERT engine is an available option, while the TH408D and TH3510D also can be fitted with a more powerful version rated at 142hp. Caterpillar says the choices of different engines and power ratings will ensure effective performance, while the models are also designed for "fast hydraulic response, superior ride comfort, easy routine servicing, and easy operation". 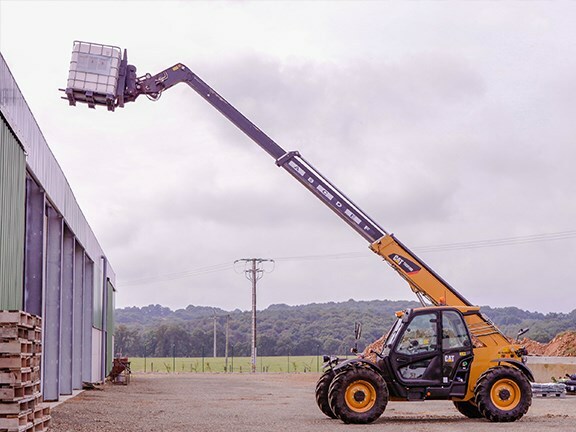 New D Series models are able to be equipped with bale grabs, buckets, pallet forks, material handling arms, or sweepers to take on a range of tasks. Caterpillar says the transmission will make versatility easy, with different ranges for different uses. "A heavy-duty, 6F/3R power-shift transmission in all models provides exact gear ranges for varied applications," the company says. "The four-wheel-drive system uses heavy-duty axles with planetary-reduction hubs, front limited-slip differential, and dual-axle braking for enhanced safety." In the cab, sound insulation keeps the cab at a comfortable 75dB, while the heating system maintains cabin temperature at a comfortable level during cold weather. Air conditioning is an option. Caterpillar says the interior is designed for ease of operation, with a multi-function joystick for transmission controls, as well as controls for auxiliary hydraulic functions. 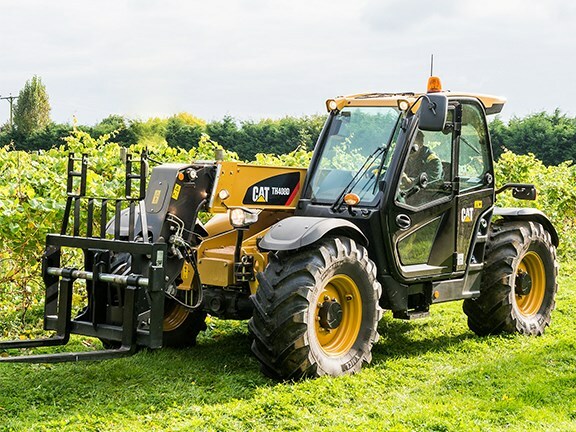 "The dash features an ergonomic control layout and a new LED display with fuel and speed readings, and the fork and bucket mode switch changes the responsiveness of the hydraulics for power or precision," the company says. "To simplify regular maintenance, diagnostic checks can be made via the display screen. Routine maintenance items are accessible from ground level, and the longitudinal placement of the engine and large hood provide easy access to the engine, cooling package, and hydraulic components."